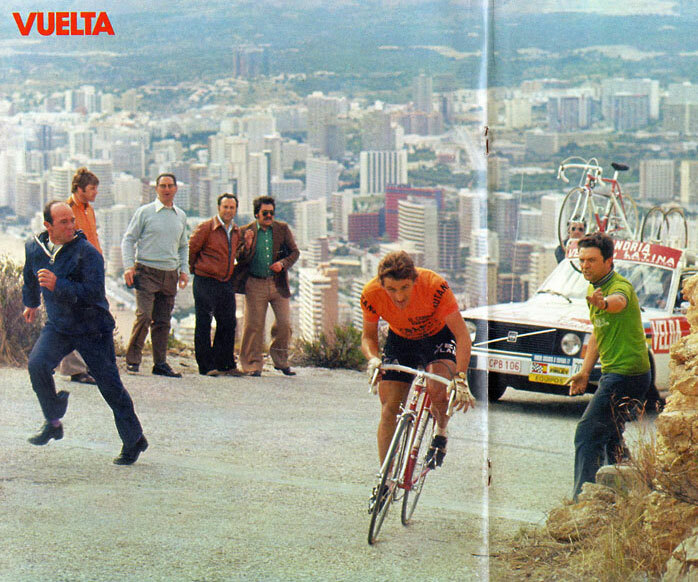 The 1977 Vuelta was virtually 'owned' by Freddy Maertens along with his Flandrian team. Controlling the race was the theme as Freddy won the opening prologue and put on the leaders' orange jersey wearing it all the way to the finish. His tally: thirteen out of twenty-one stages, the sprinters' jersey and overall victory.